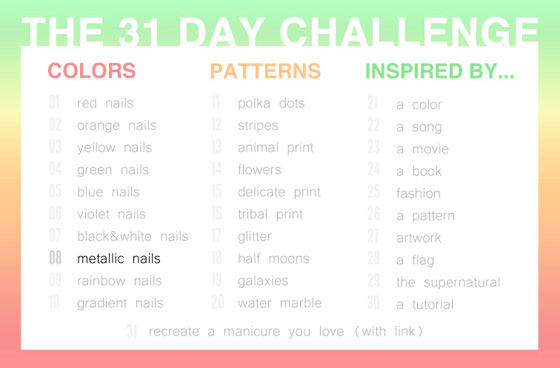 31 Day Challenge, Day 08: Metallic nails : Nail of This Week. 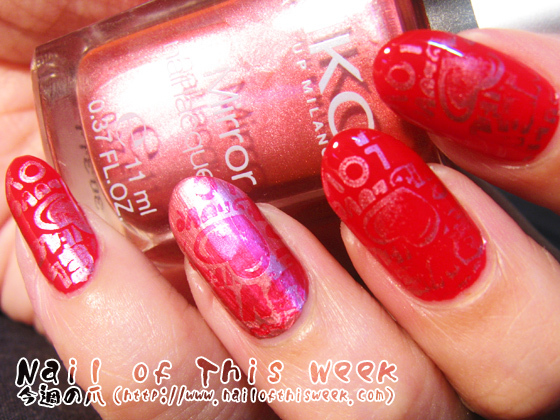 Anyway I love the pattern itself, it’s really funny to see my nails are so girly like this! 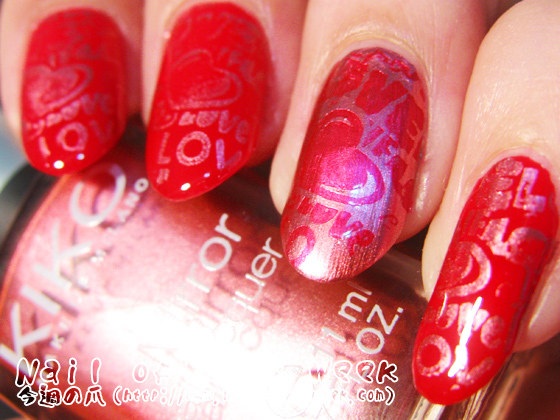 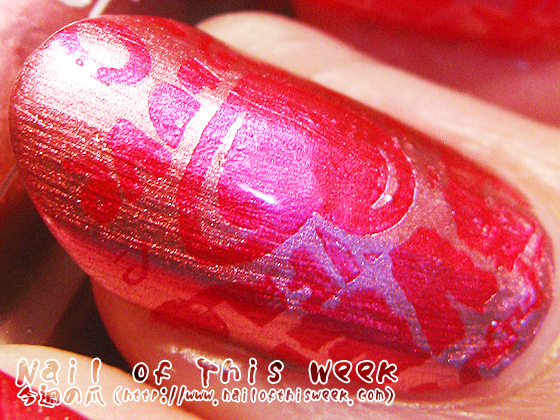 Stamping with famme fatale went bit translucent, but it also looks like a pure red metallic which is pretty gorgeous. 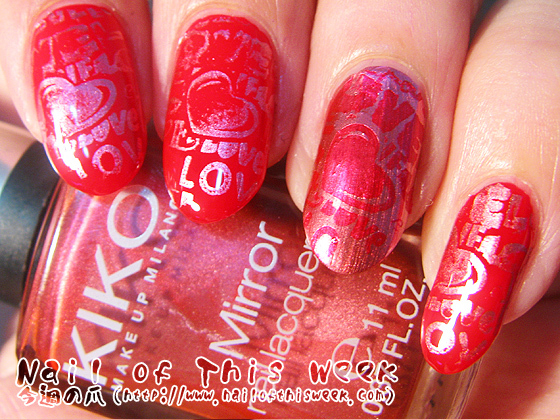 I feel a bit sorry that I can’t say I’ve 100% succeeded with today’s mani, but well…I think I must try out this polish combo with other plates to figure out what’s the problem!